Brett at the launch of his first book. A resident of the Netherlands for ten years, Brett has fallen in love with the country, people and culture and wanted to share this love with the community. He was first inspired to write the book when he heard on the radio that the Dutch national anthem was going to be introduced into schools, as he believes in the importance of Dutch people being proud of their country and culture. Thinking about he could promote this idea, Brett wrote I am crazy about Holland because… to help Dutch children recognise and be proud of their heritage, by giving a lighthearted and colourful snapshot of the country, from its love of bikes, beautiful landscape, to its food habits and the royal family. Brett hopes to not only make his young readers laugh with his books, but also to have them learn a message, as he considers storytelling to be the best way to communicate with children. He hopes that his books will give children the tools in life to be able to cope with a challenging world and enable them to develop skills outlined in the IB Learner Profile, such as being independent and a good communicator. 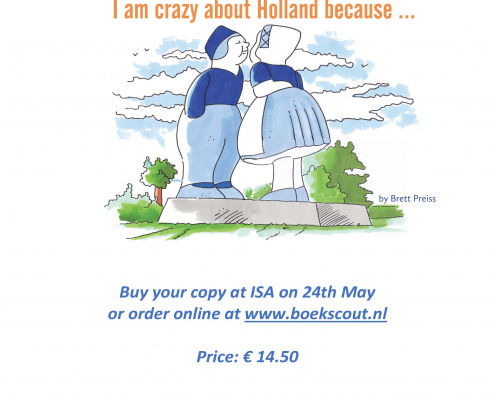 The book is also aimed at tourists and expats, to give them a souvenir of their time in the Netherlands. It will be published first in English, with Brett hoping to have it published in Dutch later, under the title Ik ben Gek op Nederland, as keepsakes for Dutch expats living abroad and so that Dutch children can read it in their mother tongue. 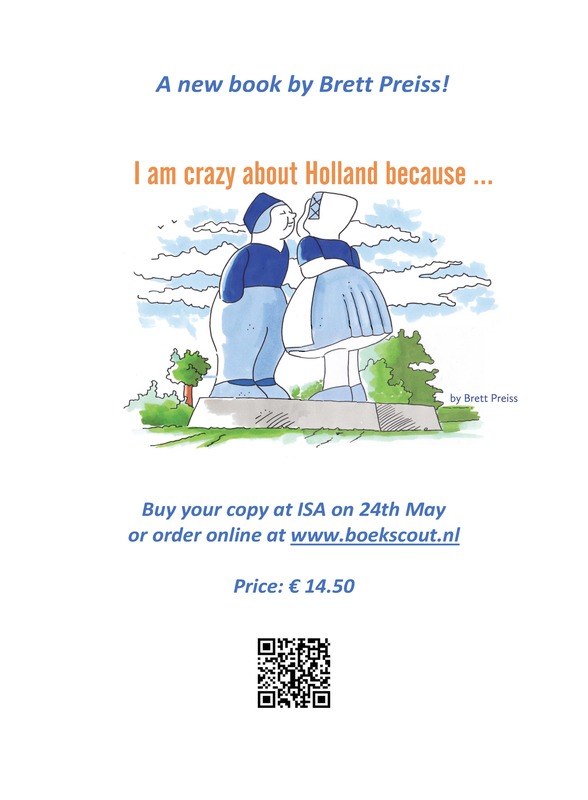 Brett will be giving a Book Presentation about I am Crazy About Holland Because… on Thursday, 24 May. Books will be available for purchase from the main foyer between 8:30-10:30, 11:30-13:30 and 14:30-16:30 on Thursday, 24 May for 14.50 Euros. It’s an ideal souvenir gift for your friends and family to take during the summer break. Get your signed copy while they last! The World’s Largest Lesson: Grade 7 Service Projects Graduation – Congratulations to the Class of 2018!